A solar car is a type of solar vehicle. 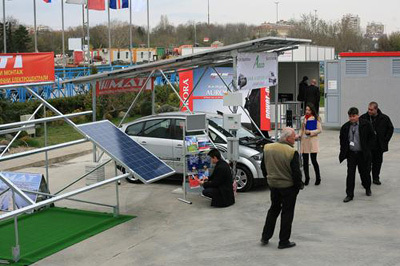 Solar cars are not average cars because they are making their necessary energy with the solar cells on the machinery. The importance of a solar car is in economic and environmental issues. There are many environmental benefits and advantages of solar powered cars. Solar energy can be the largest source of electricity in the future because we need to ensure reliable, affordable and clean energy. It became necessary to use this type of car in order to save the planet Earth. It’s important to cut down our usage of fossil fuels and turn to renewable sources of energy. Although, there are many advantages of solar powered cars, there are also disadvantages of this type of vehicle. Let’s see if there is a chance for solar cars to become a product of a mass use. A solar car is powered by sun energy that is converted into electric energy for the running of the car. Solar cars also have a motor, steering wheel, brakes and other parts of a regular car, but solar energy is unusual in the automotive industry, and that makes solar cars unusual in our world of air pollution. Introduction of harmful and toxic materials into Earth’s atmosphere affect people and all animals and plants. Not only that solar car saves air from pollution, but also reduces noise pollution. Noise pollution often harms the human or animal life, especially in cities. The noise is caused mainly by the automotive industry, machines and transportation systems and other types of vehicles (taxi cars). On the other side, solar cars are very quiet. They run noiselessly and don’t produce harmful noise, so there is no noise disturbance with solar cars. Driving a car that makes no noise is wonderful experience. A solar car doesn’t need gasoline. Because of that, this type of car is eco-friendly and also easy on your pocket so it’s very appropriate for low-budget people. Solar cars do not require any expense for running. Gasoline definitely isn’t cheap fuel. The average price of gasoline around the world is 1.23 Eur per liter in Vienna for example. However, there is an important difference in these prices among countries due to the various taxes for gasoline. You always have to calculate when you have a fuel-driven cars, but solar car rely on solar power. It’s a really interesting fact that solar car requires low maintenance. It can last for years without any expensive modifications and upkeep. The solar cars are designed to be low maintenance and can be easily maintained for decades with regular cleaning of the solar panels. When you compare that with trouble of maintaining a regular car on a daily basis, it’s far less complicated and far less expensive. A solar car has a few moving parts, and logically, service requirements are less than for normal cars. Even though there are many advantages of driving solar car, a few disadvantages can make you think twice before buying this type of car. You don’t need gasoline for driving solar cars, but the sun must be shining. They use sunlight for fuel and although sunlight is free and gasoline isn’t, you are dependent on energy of the sun. If it is dark for a long period of time, the car battery will not charge. That can be a big problem and also the main reason to get more information about solar cars. Solar cars can be budget-friendly if we take their power and simplicity in consideration. But solar cars are not very popular yet, they are rare and still expensive, even more expensive than a regular fuel-driven cars. Parts used in solar cars are different from the normal car parts and they are not produced in large number so they are also expensive. The big problem with solar powered cars is their speed. Solar cars don’t have the regular car speed or power. That makes them difficult for driving, even on a daily basis when you are not in such a hurry. Navigating solar car can be nerve-racking, even for experienced drivers. You need to be really patient with the mechanism of the solar car. All in all, solar car is a great invention, but there is still a room for improvement. It’s important to think about the future of this planet and every environmentally-friendly device counts. The solar technology has been available for decades in New York and it has been quite a challenge at the very beginning. Solar system was used by Nasa back in 1960s and in many US houses after the World War II, at least some passive solar systems. Nowadays an active solar system has become a commonplace in NYC lifestyle. Sunlight is directly converted into electricity by arrays of photovoltaic cells, and this active solar technology has been very expensive and not attainable for everyone. are jumping on the solar panel bandwagon, and it’s easy to see why. Solar PV allows you to generate cheap, eco-friendly electricity from something we all have free access to—sunlight. You can then use this electricity to heat or cool your home, power lighting systems and operate appliances. No wonder solar roofs are becoming so popular so quickly! But before you run to your computer and order your solar PV system, you need to ensure that your roof is in good shape; otherwise, you could end up with a major headache and even bigger expenses. 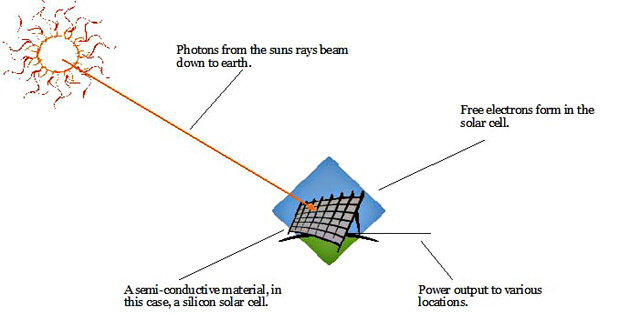 Solar energy is the radiant energy produced by the Sun. It is both light and heat. Along with secondary solar-powered resources such as wind and wave power, solar energy accounts for the majority of the renewable energy on Earth. Humans harness solar energy in many different ways: space heating and cooling, the production of potable water by distillation, disinfection, lighting, hot water, and cooking. The applications for solar energy are only limited by human ingenuity. Solar panels are devices that convert light into electricity. They are called “solar” panels because most of the time, the most powerful source of light available is the Sun, called Sol by astronomers. A solar panel is a collection of solar cells. Lots of small solar cells spread over a large area can work together to provide enough power to be useful. When exposed onto roof surfaces, the solar panels look like sheets of glass looking towards the sun. However, their components are more complex than a simple glass panel. DSM China Technology Co., Ltd. (www.cndsm.com) is a company dedicated to Demand Response Solutions and AMR/AMI Management System, here in China and worldwide. Our headquarters and main production facilities (on 8000 m2) are located in Shenzhen China. DSM is a provider for applying wireless communication products such as GPRS, SMS, CDMA1X, CSD, which makes us a recommended solution partner by the National Grid projects (transformation and construction). Every product was designed by DSM’s R&D engineers who are supported with supervision of experienced technicians, and was made by more than 300 workers. It has spent many years in developing and producing high DSM electrical power metering technology. All our power metering products are effective and have a rapid deployment in all kinds of power systems, such as electricity grid for household, solar power grid, wind and hydro systems, etc. Therefore, the power meters are very suitable for today’s off-grid PV and grid-tied PV systems. DSM China develops and focuses on monitoring and managing the Smart energy for the last 10 years and cooperates with many inland and oversea customers. Our customer works with us to be the leader of the smart energy market in their countries. These days solar energy has become very popular, so we prepared many useful meters, see below. By leveraging the technical and the financial knowledge of our team, we manage to stay on the forefront of the energy industry’s trends, drivers and developments. Over the years we have established and also positioned ourselves as a premier partner in every energy sector, serving public and private companies, and we empower customers to understand the energy sector in a new light. Frakus Consultancy is committed to being a premier energy project developer of start-ups of the power plant units, and to conducting our business in an ethically, socially and environmentally responsible manner. The Office Dealer srl (http://www.officedealer.eu/) company Energy branch arose in 2010 from the desire of the members to combine their professional experience in the field of renewable energies, especially in solar energy, and to offer the European (EU), African and Balkan markets a wide range of photovoltaic modules and solar inverters. Benefiting from its international partners’ network, Office Dealer srl can now offer its clientele amazing quotes for major Chinese and European solar panels brands on stock Europe or FOB China. We’re directly in touch with main PV panels manufacturers worldwide, that are: Suntech, Canadian Solar, Jinko, Trina, Yingli, Sharp, Renesola, LDK, Ceeg, Sanyo and so on. Balkan countries have an excellent solar irradiation which makes them very interesting in investment in solar energy by today leading solar companies. The event will be held from 28 to 30 March 2012 in Inter Expo Center, Sofia, Bulgaria, organizer is Via Expo. Parallel to this exhibition every visitor could attend the 8-th edition of the annual South-East European Congress & Exhibition on Energy Efficiency and Renewable Energy (http://www.eeandres.viaexpo.com/en/exhibition/) (download here the forum prospect ECO_EERES-2012-SEE) – 64% of its area in 2011 was covered by solar companies operating in the solar energy market. However, now the events and objects are divided, unlike to the 2011 year. Now, the 8-th edition of EE and RE exhibition will present most up-to-date wind-, bio- and hydro energy, solutions for increasing the energy efficiency, environmental services and e-mobility . It will bring together manufacturers, installers, investors, designers and consultants from all over the world. The forum is a discussion about renewable energy potentials of Balkan region, with a network platform for leading companies from South-East Europe, connected to ЕЕ, RES and Waste management. The second forum – SEE Solar forum, which will be held for the 1-st time, will present most the last news in solar PV (off-grid PV and grid-tied PV systems), as well as solar thermal systems. Likewise, at the same place it will be brought together manufacturers, designers, consultants, investors and installers, all connected with solar energy. 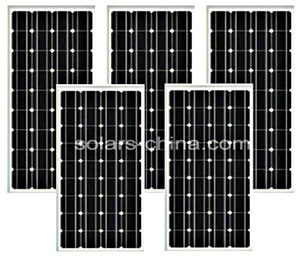 CHINA SOLAR LTD (http://www.solars-china.net/) is a modern solar cell and solar panel professional manufacturer: of mono-crystal, poly-crystal and thin-film PV moduls. It also provides high-tech solar energy applications and low carbon solutions to the problems in everyday life. CHINA SOLAR focuses on the designing, manufacturing and salling of a full range of solar panels which make us one of the major players in the photovoltaic market in China. Our professional R&D team (which proved itself over a long period of time in a technology research) and advanced testing equipments give perfect technical support to every costumer. 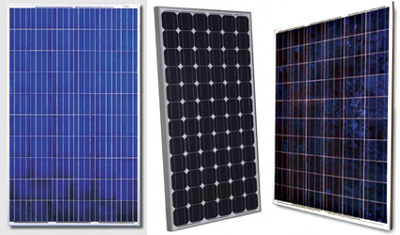 China Solar panels are suitable for numerous applications of many solar energy applications, such as off-grid PV grid-tied PV for either roof solar or ground mounted PV systems, solar LED lights, solar lanterns, solar flashlight, solar changer, etc. Here is the upload of our company’s profile. China Solar Ltd. is located in the Longgang District of Shenzhen City in the Guangdong Province, the Republic of China. The factory is situated in an area of 42,000 square meters, consisted of three buildings, where work over 1000 workers, and 100 of them are professional qualified experts. In our production lines is made solar energy staffs that exceed the highest quality standards in the industry, with the best OEM service and long-period technical support. Our manufacturing capacity for amorphous silicon solar cell is 6 MWp, and for mono- & poly-crystalline solar cells is 20 MWp. In addition, we provide customized shapes solar cells & solar panels according to our customers’ specifications and requirements. 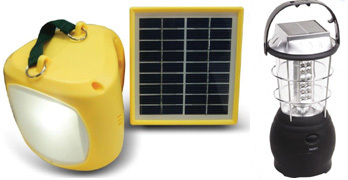 Letect Solar Industry Co.,Ltd (http://www.letectsolar.com/) is a leading manufacturer in China (CIXI, Ningbo, Zhejiang) with a wide range of solar energy products, as well as the trade company of our solar LED lighting and other gifts. In our facilities are produced very practical and useful goods, here are some of them: solar indoor and outdoor lamps, solar camping lantern, solar led lighting: solar garden light, solar lawn light, and little solar gifts. We warmly welcome customers worldwide to establish long-term business cooperation. Letect Solar offers the newest and best quality solar products at very affordable prices, together with the satisfying sales service based on the mutual benefits and advantages. Letect Solar responds to the all society by with high quality, high efficiency, power saving using solar energy and environmental protection product and service. Here is a Catalogue of our products! Our factory (Cixi Dongguan Mold Factory), established in 2002, is located in area with developed economics. The production facility has 200 employees which include twelve experts committed to providing our customers with high quality solar lighting systems and engaged in a design of mold and solar powered lights. Letect Solar company has own moulding capability and manufacturing, therefore the factory could respond to any request in costumer demand from design to mould production. Many products use a solar panel in power size from 0.3Wp (in this case is better said solar cell) to some tens Wp. The factory is also capable of producing integrated system of solar energy boards-modules with the maximum power of 10.000 Wp.